Skylark Automatic Vending was started in 1950 by Stan and Lee Kass. Stan decided to start a vending machine business due to his love of convenience. It was his dream to operate this business with his family. Stan's dream still lives on as he continues to provide quality vending services with his oldest son, Michael. Healthy Vending: Skylark now provides healthy vending services to the Milwaukee area. Promote healthy eating in your office, school or business by providing a healthy vending machine for your employees. Our healthy vending machines are filled with delicious snacks such as nuts, pretzels, granola bars, baked chips, fruit juice, water and more. Visit our PRODUCTS page for a complete list of options. 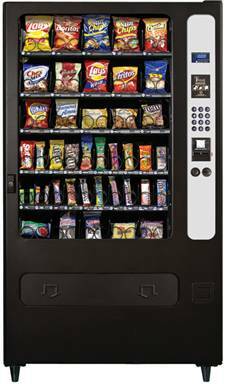 Traditional Vending: Skylark can also provide traditional snack, soda and water machines at your facility. We offer your favorite brands, providing your employees with a special treat. Serving candy, cookies, chips, soda, juice and water. Visit PRODUCTS page for a complete list of options. Cigarette Vending: Perfect for bars, clubs, restaurants and bowling alleys Skylark can provide you with a safe, legal way to provide cigarettes to your patrons. Visit PRODUCTS page for a complete list of options.